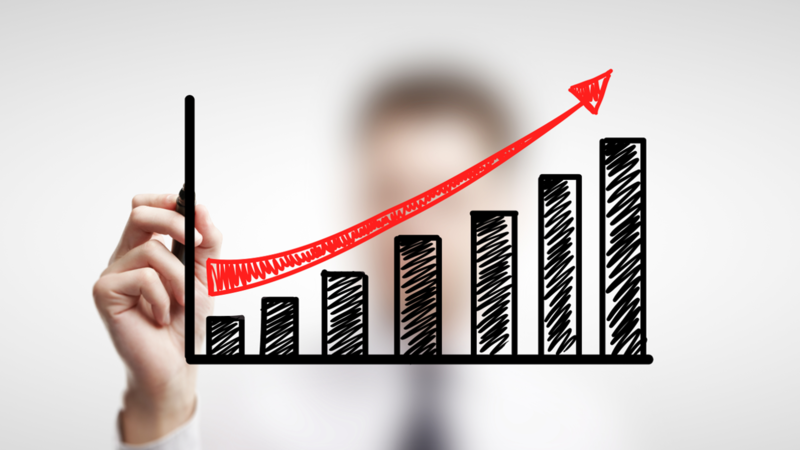 Growing a business is the process of improving some measure of a comany’s success. A business can grow in terms of employees, customer base, international coverage, profits, but growth is most often determined in terms of revenues. There are different ways of growing a business. Igor Ansoff identified four strategies for growth and summarized them in the so called Ansoff Matrix. The Ansoff Matrix (also known as the Product/Market Expansion Grid) allows managers to quickly summarize these potential growth strategies and compare them to the risk associated with each one. The idea is that each time you move into a new quadrant (horizontally or vertically), risk increases. Each quadrant of the Ansoff Matrix will be elaborated on below. Market Penetration is about selling more of the company’s existing products to existing markets. To penetrate and grow the customer base in the existing market, a company may cut prices, improve its distribution network, invest more in marketing and increase existing production capacity. Brands such as Coca-Cola and Heineken are known for spending a lot on marketing in order to penetrate their markets. In addition, they try to maximize the use of distribution channels by making attractive deals with a large variety of distributors such as supermarkets, restaurants, bars and football stadiums for example. Product Development is about developing and selling new products to existing markets. Companies could for example make some modifications in the existing products to give increased value to the customers for their purchase or develope and launch new products alongside a company’s existing product offering. A classic example of product development is Apple launching a brand new iPhone every few years. Other examples can be found in the pharmaceutical industry where companies such as Pfizer, Merck and Bayer are heavily investing in Research and Development (R&D) in order to come up with new and innovative drugs every now and then. Market Development is about selling more of the company’s existing products to new markets. This strategy is about reaching new customer segments or expanding internationally by targeting new geographic areas. If a company’s product is doing exceptionally well in one market, why not try to enter a new market with the same products? This is what for example IKEA has done over the past few decades in order to become one of the biggest furniture retailers in the world. IKEA started off expanding to markets relatively close in terms of culture as to its home country (Sweden) before targeting more challenging geographic areas such as China and the Middle-East. The Eclectic paradigm (also known as OLI Framework) is a great tool to determine how to enter foreign markets. Diversification strategies are about entering new markets with new products that are either related or completely unrelated to a company’s existing offering. Diversification in turn can be classified into three types of diversification strategies. Concentric/horizontal diversification (or related diversification) is about entering a new market with a new product that is somewhat related to a company’s existing product offering. Conglomerate diversification (or unrelated diversifcation) on the other hand is about entering a new market with a new product that is completely unrelated to a company’s existing offering. A great example of a conglomerate is Samsung, which is operating in businesses varying from computors, phones and refrigerators to chemicals, insurances and hotel chains. Finally. vertical diversification (or vertical integration) means moving backward or forward in the value chain by taking control over activities that used to be outsourced to third parties like suppliers, OEMs or distributors. The Ansoff Matrix is a great framework to structure the options a company has in order to grow. Market Penetration is the least risky of all four and most common in day-to-day business. Diversification is the most risky since a company starts entering a completely new and unfamiliar market with a new and unfamiliar product. However, if a company manages to successfully enter several unrelated markets, it has the advantage of having a well-balanced product portfolio which actually decreases the total risk. In such a situation it is usefull to work with frameworks like the GE/Mckinsey Matrix or the BCG Growth-Share Matrix.